He hates what he has said about Emma Berghuis and reaches for an eraser to rub out his suspicion. But the single cough of a Daimler engine, followed by a backfire on the street outside, stops him. He hastens to the study window. Two Nederlandsche SS step out of the Standaard V black sedan adjusting their holsters and peaked caps. Not prepared! What first? Panicked, he shoves the onionskin indictment of the housekeeper between the back cover and the last leaf. 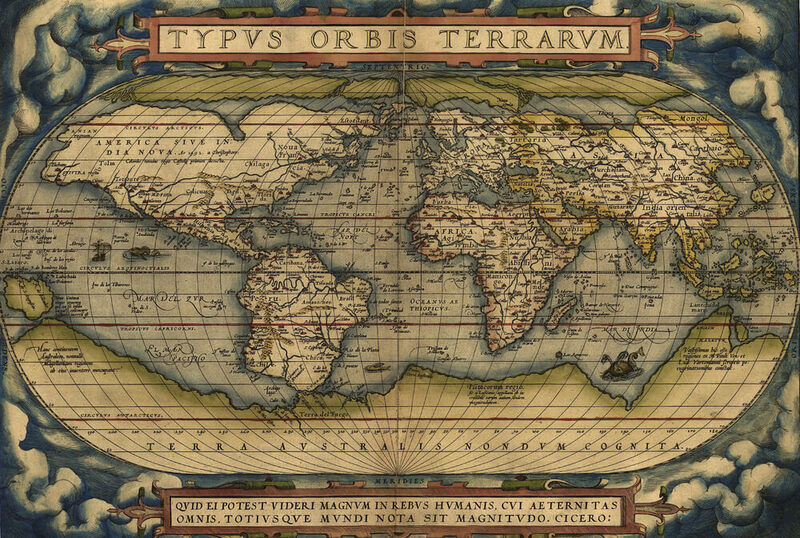 He flips the atlas leaves to display the map of the world, Typvs Orbis Terrarvm. The boots of the SS men scrape the worn stone stairs. Herman turns toward the kitchen, but whirls, and races to the sideboard. He pulls the drawer open and feels about quickly. “But—but, no. Stay with me, please.” She strangles the dishtowel. “They will go away, but you must hide.” Herman implores. The knuckles rapping on the front door become more insistent. He forces a grin and nods as the ten-year-old collects her wits. “Courage. It will be fine, Hetty, like a game of hide and seek,” he whispers. She tries to mask her face with the dishtowel. It betrays her hurt at a promise broken. “But you said—“ she stops abruptly, turns away, and crawls through a cupboard into a spider-webbed passage built five centuries earlier as a precaution against Spanish mercenaries. “Quiet as you can be,” he hisses. Herman sniffs the stale odor of the secret passage and closes the cupboard door. “Dear Jesus,” he mutters; he traces Hetty’s muffled sounds inching down the wall. The pounding rattles the front door. “Coming. What’s the big racket?” He unlocks the door, feigns surprise. “Where is she? Where is the Jew girl?” The odors of boot polish and gun oil suffuse the air. “Yes, of course,” Herman says. “It will go hard if you don’t turn her over directly,” the other snaps. He looks familiar. Where has he seen the weak chin and off-centered eyes? “Do I know you?” he asks, backing toward his study. “No stalling,” the crooked faced SS man snaps. “I have a niece from Rotterdam staying here, Dutch Reformed, naturally, not—not Jewish.” He laughs, unconvincingly. “Diederik,” says the thickset partner, “this is already taking too long.” He pushes past Herman toward the stairs. “Produce her now,” demands the man Herman cannot exactly place. Diederik looks up the stairs. Herman searches his memory, was he the butcher down the street, or, a machine salesman trying to get him to upgrade his factory? The factory! Diederik tilts his head like a cat pawing a wounded a bird. “Yes, yes, we know. The girl!” Diederik unclasps his holster. Then Herman is certain—an upsetting meeting in his office eight years before—he had sacked this man for stealing three bolts of linen. “But that is not the case,” Herman objects. They know everything! Herman imagines Hetty in the darkness, hearing the SS man coming closer, inches from her face. “Henk!” Diederik shouts. Henk fires. Herman cries out, more in surprise than pain as the bullet tears into his chest. But he jerks the trigger of the Melior automatic, is amazed at its kick and shocked to see blood spurting from the neck of the officer named Henk. Diederik shouts again, and Herman fires wildly, but one shot hits Diederik’s right kneecap. Diederik shrieks a stream of profanities. Edward Weingold is a produced playwright (12 plays in 20 productions) off-off Broadway, San Francisco Bay Area and has held a day job for three years as cataloguer for old rare books and prints (and antiquarian cartography, the subject of his novel). For over 12 years, he has written and recorded a monthly piece for a National Public Radio affiliate, First Person Singular. He taught English and Theatre courses at the City University of New York and several colleges in California and recently retired from 20 years as a technical writer. Read more articles by Edward Weingold. All original work attributed to Edward Weingold © 2019 Edward Weingold.